Is my Rolex watch real, fake, counterfeit or a replica? 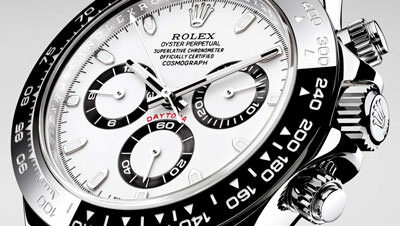 There are dozens of reasons to authenticate your Rolex watch. Maybe it was a gift and you would like to get it insured. Or perhaps you won it in a poker game or bought it online and want to verify you weren’t ripped off. 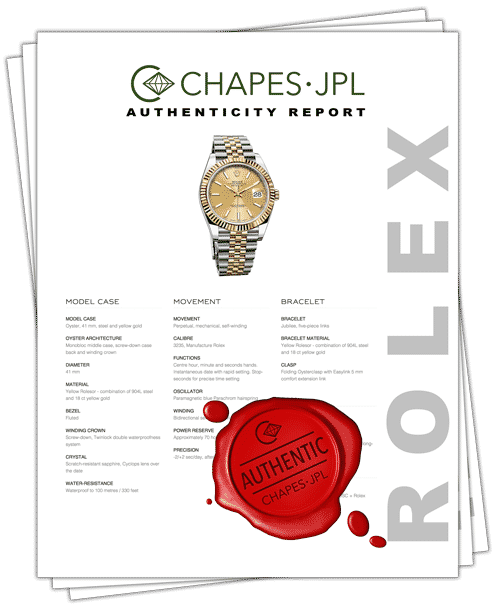 Chapes-JPL can authenticate your watch and/or provide you with a certified insurance appraisal good for 5 years. A real Rolex is known throughout the world for it’s precision movements, flawless designs and timeless elegance. While costly, purchasing a Rolex is an investment in quality and craftsmanship. In addition to the satisfaction one gets while wearing a Rolex, the watch may also hold onto or even increase in value with time. As such, the demand for them continues to increase year after year, despite producing over 700,000 timepieces a year. The used market is just as strong among buyers looking for a great watch at a lower price. Over the years, the replica market has grown into a multi billion dollar business. According to the Swiss Watch Industry approximately 30 to 40 million fakes are sold each year. Advancements in materials and imitation movements allow counterfeiters to produce watches that look and act almost the same as their real counterpart. I say almost, because a skilled watch appraiser can still determine the fake with close inspection. Because of their quartz dial movements, cheap knock-offs are easy to spot. The sight and sound of a ticking second hand is obvious compared to the smooth movement on an original. 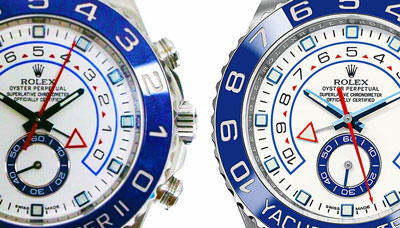 A cheap counterfeit can often feel light especially when compared to the genuine timepiece. And finally, the craftsmanship, especially on the face and on the crown are easy to spot on inexpensive replicas. There are hundreds of sites that offer information and even videos on how to spot a cheap knock-off, but it’s almost certainly going to take an expert to recognize an expensive imitation. At Chapes-JPL we have examined tens of thousands of watches over the years. We have looked at real Rolex watches, cheap counterfeits, expensive replicas and hundreds of fake watches made by combining genuine and imitation parts. Bring your watch in today and get it authenticated and/or appraised and put your mind at ease by protecting your investment. Please note that the images above are sample images only. We are not an authorized Rolex dealer nor is it affiliated with the Rolex Corporation or any of its subsidiaries. Unless purchased directly from an authorized Rolex dealer, all Rolex watches are considered pre-owned. Datejust, Day-Date President, Presidential, Super President, Pearlmasters, Masterpiece, Submariner, Cosmograph Daytona, Explorer, Sea Dweller, GMT Master, Yacht-Master, Air King Milgauss, Prince, and Cellini are all registered trademarks of the Rolex Corporation (Rolex USA, Rolex S.A.) All trademarked names, brands and models, mentioned on this site are the sole property of Rolex, USA, Inc. and/or their respective trademark owners. This site, including its owners, operators, and developers, are not affiliated with nor endorsed by Rolex, Rolex USA, or any of its subsidiaries, in any way. We do not sell watches of any brand.